Consumer products emit a range of volatile organic compounds (VOCs) that can affect air quality and health. Risk reduction is hindered because of lack of information about specific product emissions. This study investigates and compares VOCs emitted from 37 common products (air fresheners, laundry products, cleaners, and personal care products), including those with certifications and claims of green and organic. It extends a prior study of 25 consumer products by adding 12 more products, including fragrance-free versions of fragranced products, representing the first such comparison in the scientific literature. This study found 156 different VOCs emitted from the 37 products, with an average of 15 VOCs per product. Of these 156 VOCs, 42 VOCs are classified as toxic or hazardous under US federal laws, and each product emitted at least one of these chemicals. 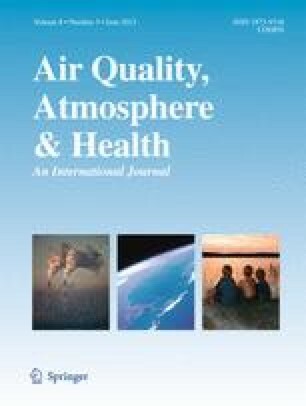 Emissions of carcinogenic hazardous air pollutants (HAPs) from green fragranced products were not significantly different from regular fragranced products. The most common chemicals in fragranced products were terpenes, which were not in fragrance-free versions. Of the volatile ingredients emitted, fewer than 3 % were disclosed on any product label or material safety data sheet (MSDS). Because health effects depend on many factors, not only individual ingredients, this study makes no claims regarding possible risks. However, knowledge of product composition can be an important step to understand, assess, and reduce potential exposures and effects. The online version of this article (doi: 10.1007/s11869-015-0327-6) contains supplementary material, which is available to authorized users. I thank Lance Wallace, Ian MacGregor, Amy Davis, and Jaret Basden for their valued contributions to this study and article and two reviewers for their helpful and thoughtful comments that improved this manuscript.